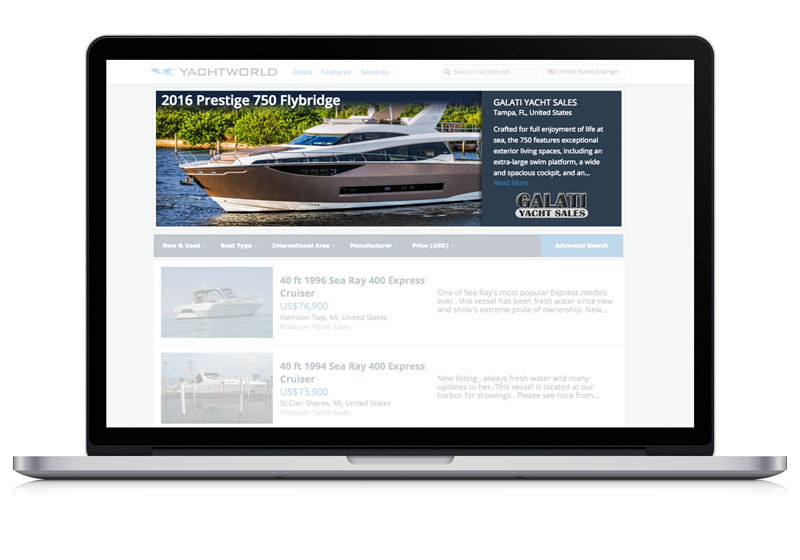 The Largest Selection of Yachts in the World. 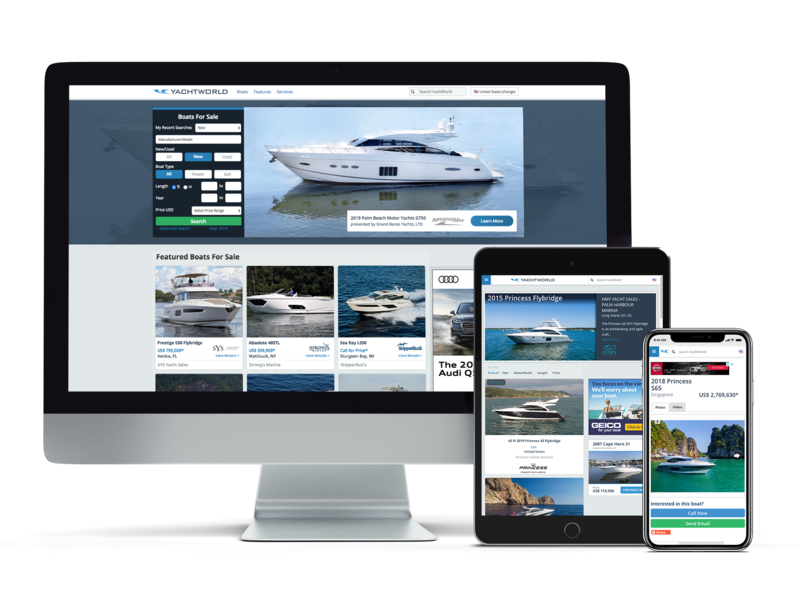 YachtWorld delivers more brokerage sales around the world than any other source and is home to the world’s largest Multiple Listing Service, boasting over 70,000 vessels available for co-brokerage. 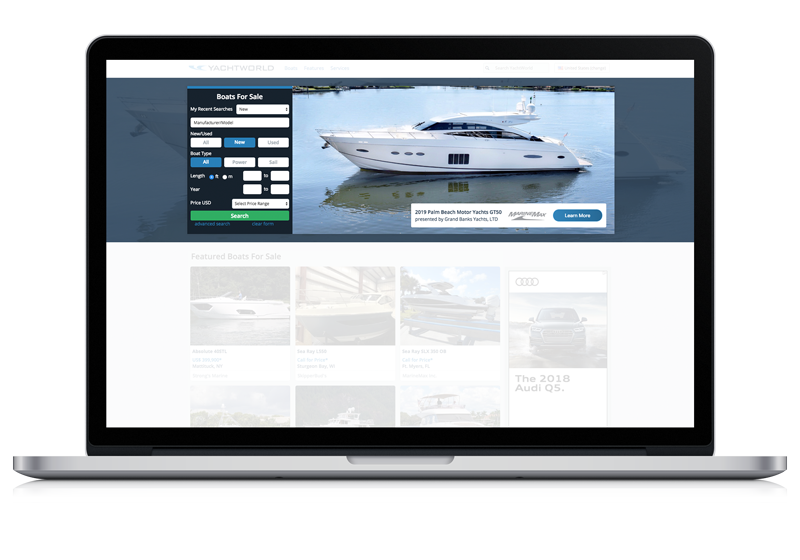 With the highest consumer interest for boats over 40 feet, YachtWorld reaches 4 million monthly boat shoppers and delivers more leads than any other source – over 40,000 leads each month – of which, 1 in 8 ultimately purchases a boat. 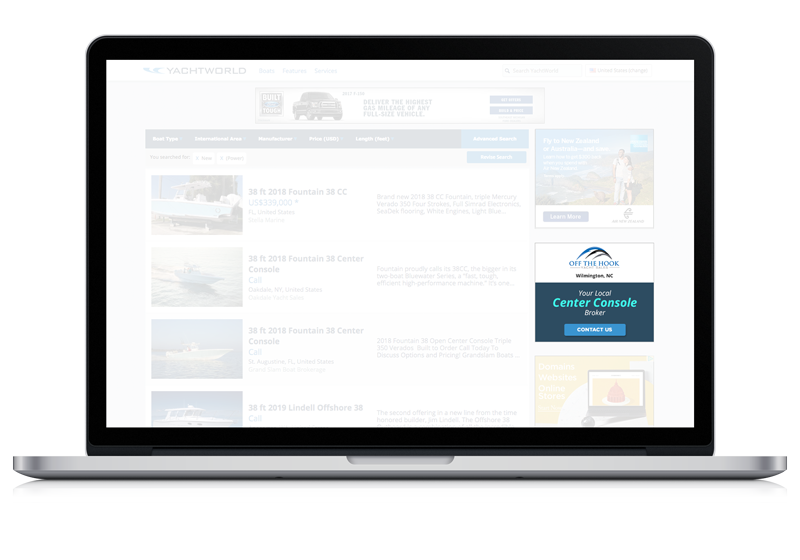 Be the brand on the YachtWorld homepage. 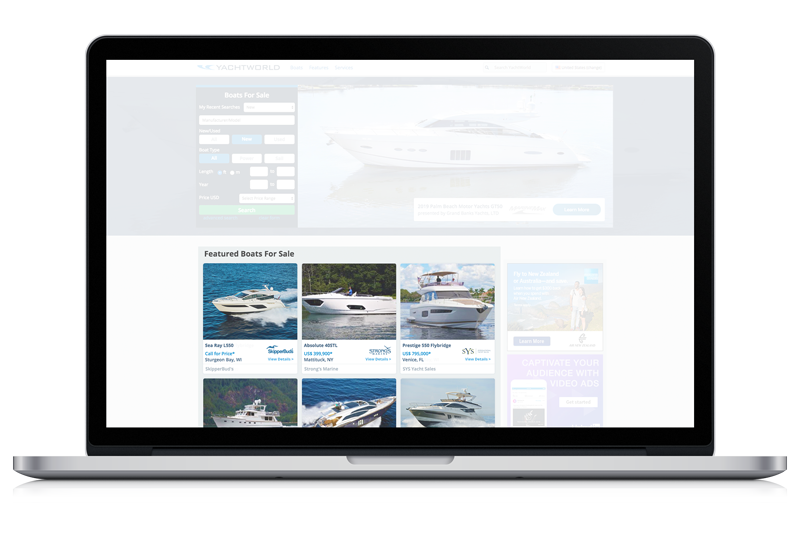 Your listing on the homepage of YachtWorld. 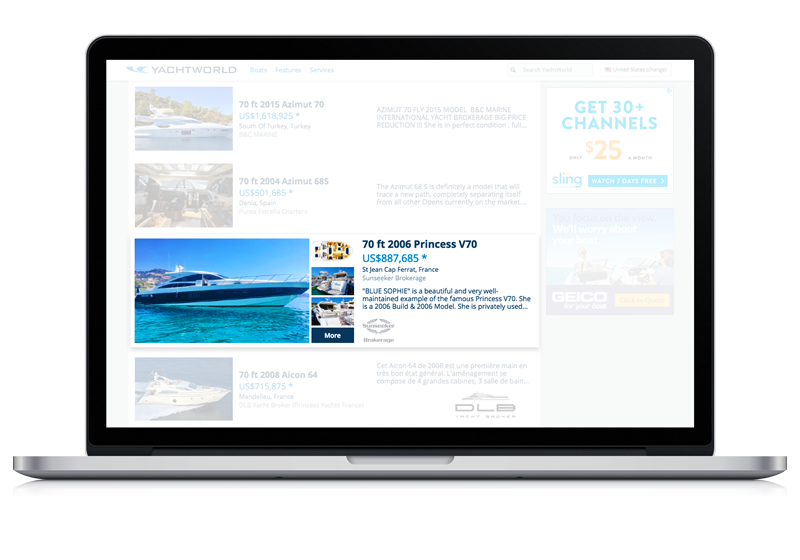 The billboard on YachtWorld’s most popular pages. 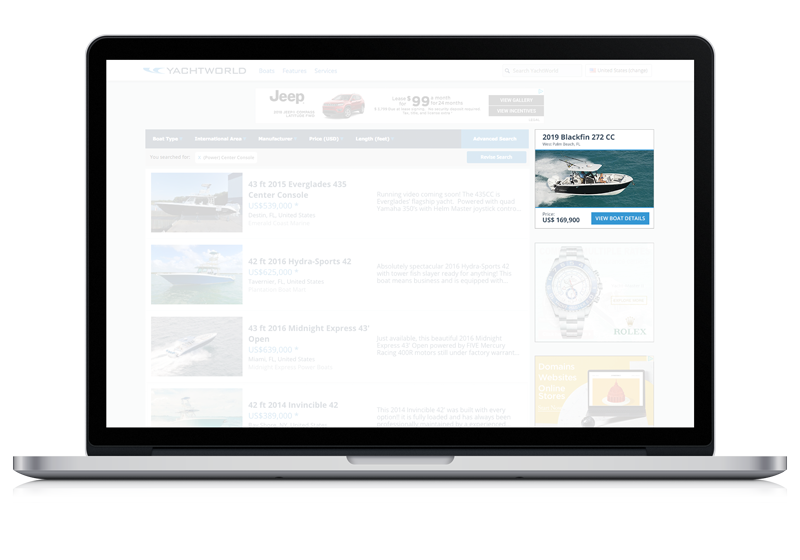 Be the broker of choice in your area.